Finally it’s out and official! In a press event in New Delhi, Nokia India has announced the launch of the much awaited Nokia 808 PureView which arrives with a 41 MP camera sensor at the rear which is way ahead when imaging on smartphones is concerned. 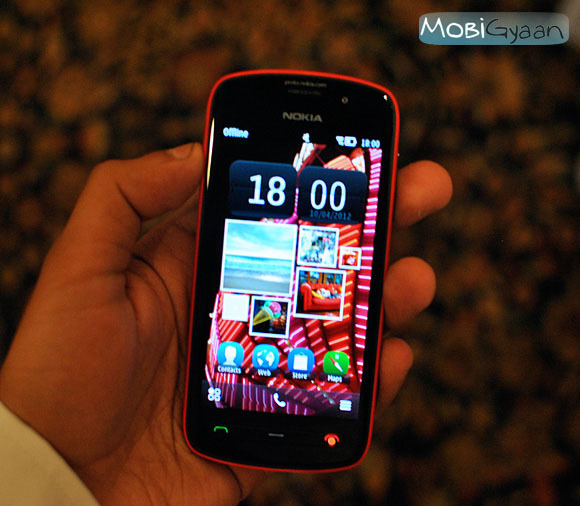 Nokia India has announced that the Nokia 808 PureView is priced at Rs. 33899 and is up for grabs from tomorrow all over the country. With the launch of the Nokia 808, the Finnish giant has also announced its collaboration with Dolby Laboratories to bring outstanding cinematic sound experience for entertainment enthusiasts as Nokia 808 PureView becomes the first mobile device to feature both Dolby Digital Plus and Dolby Headphones technology. The Dolby Headphones which are available on the PureView 808, transforms content into a personal surround sound experience over headphones to create a natural, engaging, and authentic listening experience. Nokia and Dolby have also announced that this partnership would be extended to other Nokia smartphones – specifically the Nokia 700, Nokia 701 and Nokia 603 which would also unlock the Dolby technologies with the Nokia Belle Feature Pack upgrade. The Nokia 808 PureView also includes full HD 1080p video recording and playback with 4X lossless zoom and the world’s first use of Nokia Rich Recording. Rich Recording enables audio recording at CD-like levels of quality, previously only possible with external microphones. Nokia has also announced partnership with Airtel which would allow users to use 500 MB of data on their Nokia 808 PureView. It’s Pricey? Will you buy one? Let us know your views.